Prior to returning parts to Northland Inc. for any reason, you must contact our sales department (1-877-668-7278) and obtain a Return Goods Authorization (RGA) number. The return must be sent freight prepaid, with the RGA number clearly marked on the outside of the package to our warehouse. The address for the shipment returns will be provided upon issue of the RGA number. Return parts will be subject to a 20% restocking charge. The original or copy of the packing list or invoice must be included. Items being returned must be in new and saleable condition and purchased from one of our websites within the preceding thirty (30) days. 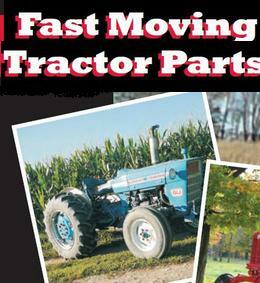 is an agent for several tractor parts re-sellers. 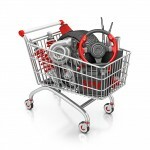 Our online shopping cart is serviced by A&I Products. A&I Products warranties most items distributed by them to be free from defects in material and workmanship for a period of one year from date of purchase. A&I Products reserves the right to inspect any item prior to granting warranty. A&I Products will not assume any responsibility for loss of time, labor, or crop for any warranted parts. Pistons, rings or liners ordered without the overhaul kit are not warranted since we cannot be assured of the quality of your other components. There are no Pick Up Orders. Parts are shipped from the nearest of twelve (12) parts warehouses in the USA and Canada. The shipping department will determine the least expensive shipping methods. Addresses on any of our websites are for mailing purposes only. Customers are not allowed to pick up from the dealer warehouses. We will not accept responsibility for errors in phone orders. We encourage you to order ONLINE at www.easytractorparts.ca, or to FAX in your orders, our FAX number is 1-866-683-9120. Typical shipping methods are DHL, UPS, and Purolator. Other shipping companies are sometimes used and these will be chosen by the shipping department. Customer preferences will be taken into consideration, however, Variety Marketers reserves the right to choose the best shipping method. Shipping services are provided by several courier, trucking companies to ensure timely delivery of parts. Delivery to the carrier, or notification that Goods are ready for shipment constitute delivery to the Buyer for all purposes. Variety Marketers cannot be liable for any delays in shipping for any reason. may assist customers in sourcing part numbers; it’s the customer’s responsibility to provide correct and up to date part numbers for all products. Parts returned where the customer provided no part numbers or an incorrect part number will be subject to the 20% restocking fee , freight both ways and other shipping and administrative costs. Funds will be returned at the earliest possible convenience to Variety Marketers It is necessary sometimes to source parts from external warehouses and companies. For funds to be refunded for these parts from external warehouses Ontario Parts Hotline must first be reimbursed, then funds will be reimbursed to the customer. This process can take from 1 day to 3 months. Banking, shipping, and other costs related to the Goods return and a 20% restocking fee will be deducted from the sum to be reimbursed. does NOT ship to international destinations. Parts can be delivered to freight forwarders in the USA or Canada, and its the customer’s responsibility to pay and arrange freight with the freight forwarders. The weight of all items are on our website. The freight dimensions of an order cannot be determined before shipping.